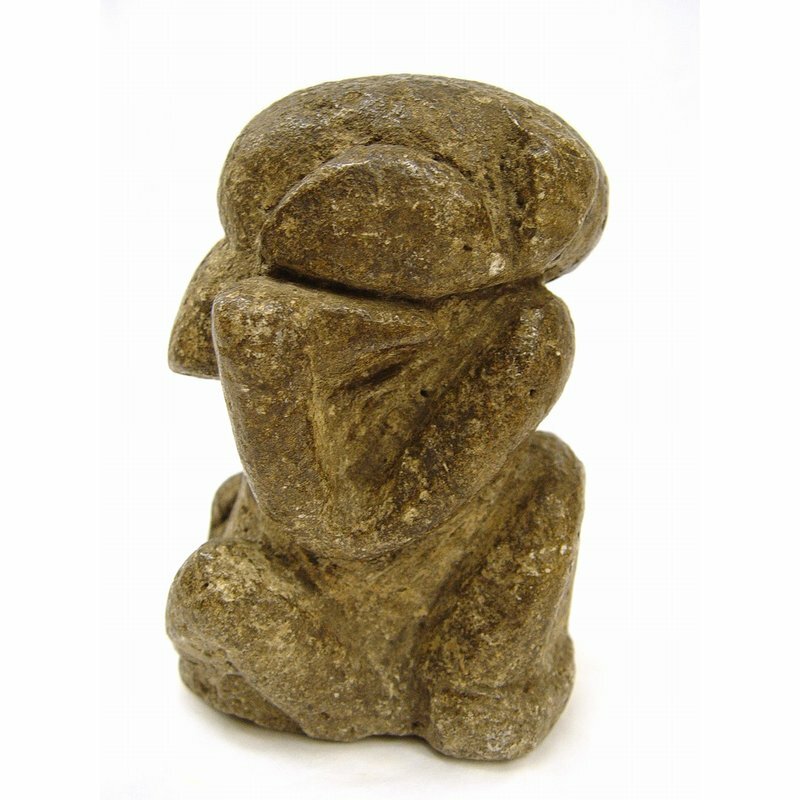 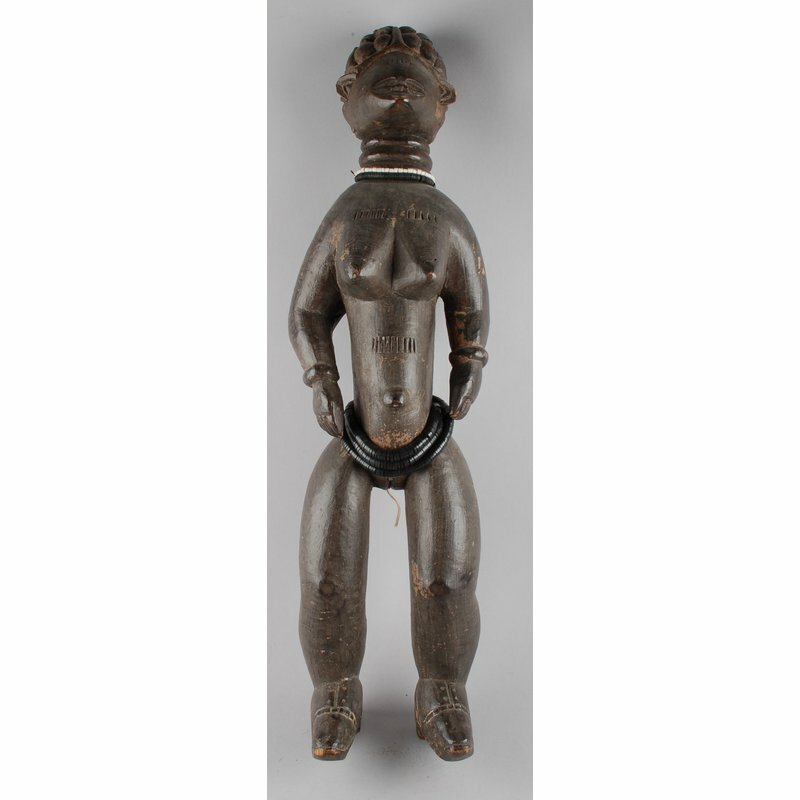 A stone figure, known as nomoli in Mende, carved out of steatite, or soapstone. 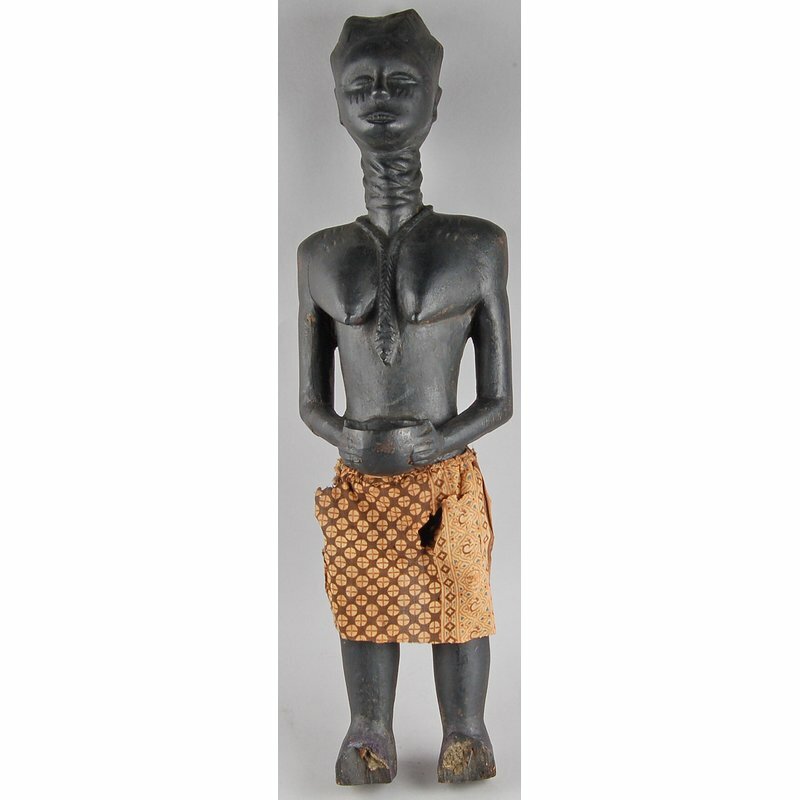 The age of figures like this one is relatively unknown, however there is evidence to suggest that they predate Portuguese encounters with the coastal areas of Sierra Leone in the 15th and 16th century. 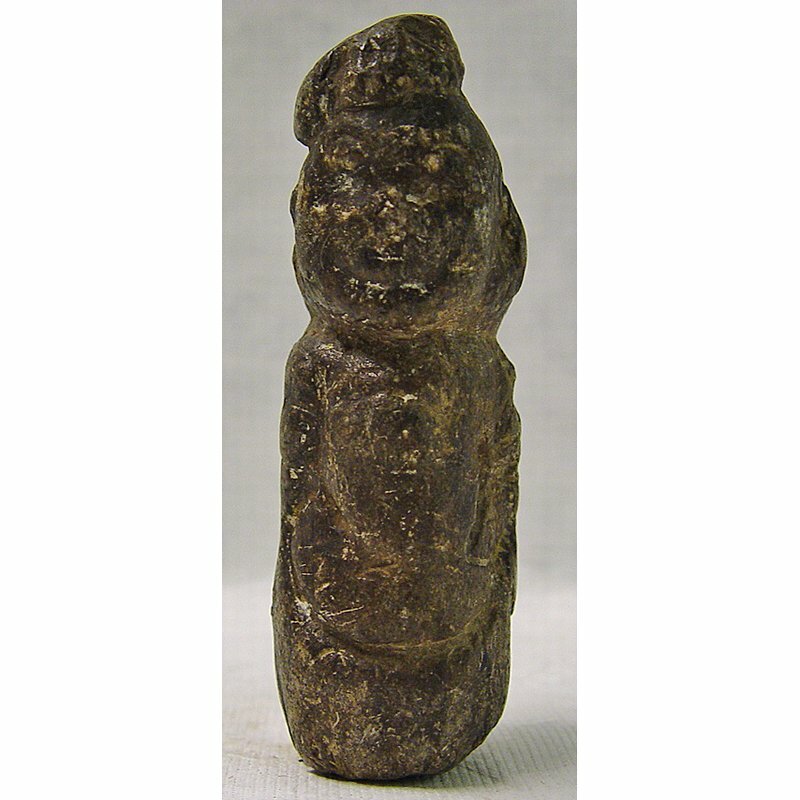 They are thought to have originally represented chiefs or group leaders. 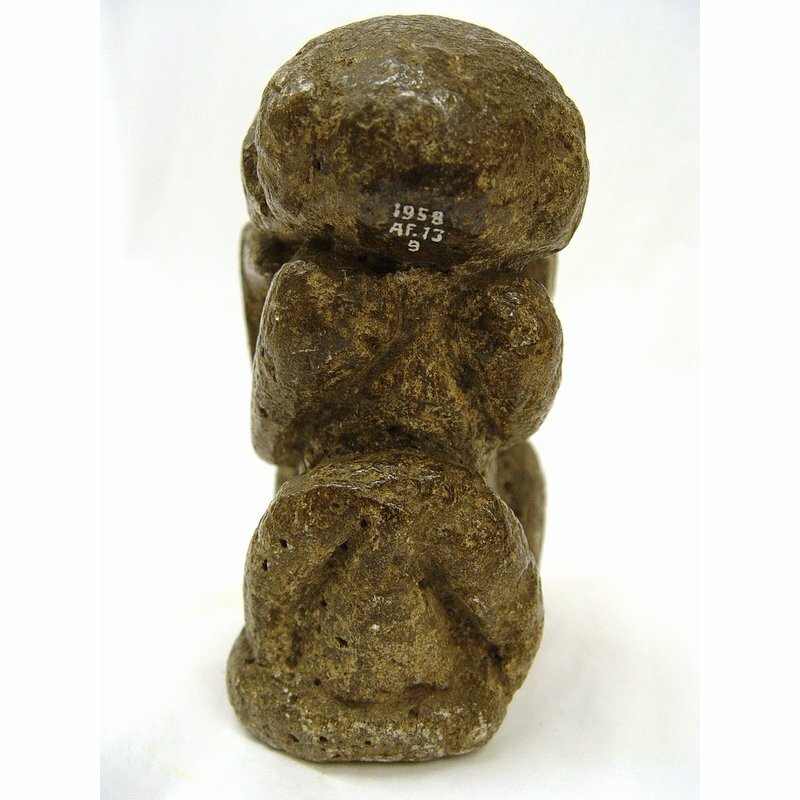 More recently, however, such figures have been re-discovered and used as rice gods to encourage high yields. 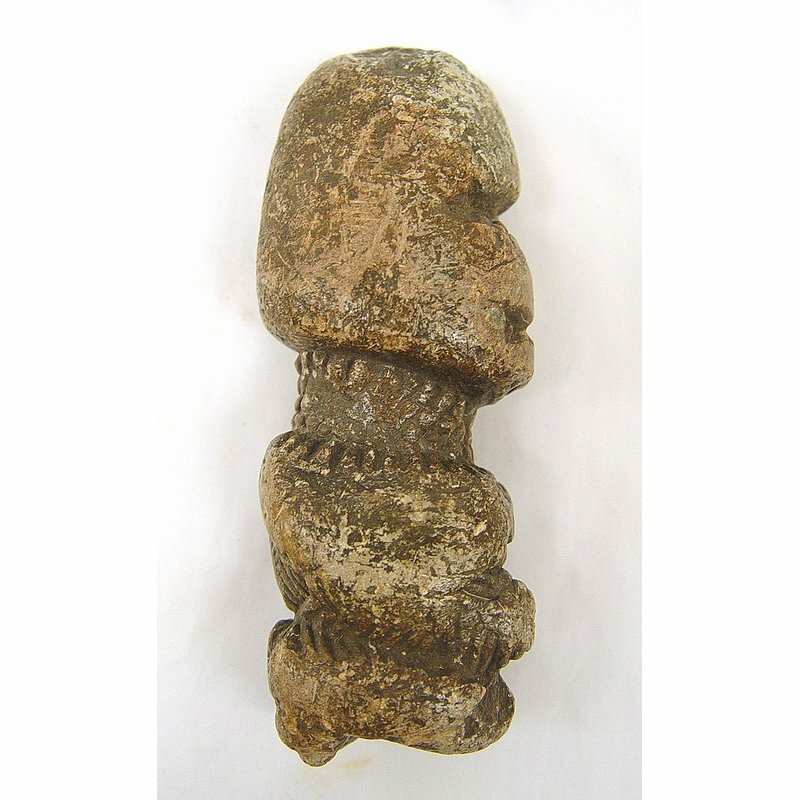 Many believe them to be naturally formed, rather than carved. 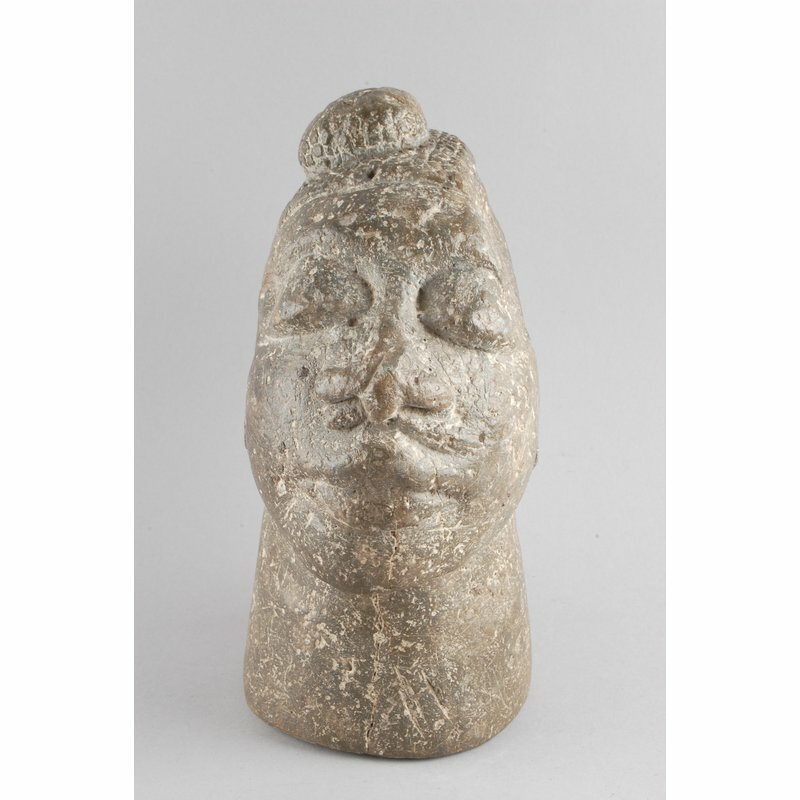 Other names that have been used for figures such as this one are pompta or mahei yafei. 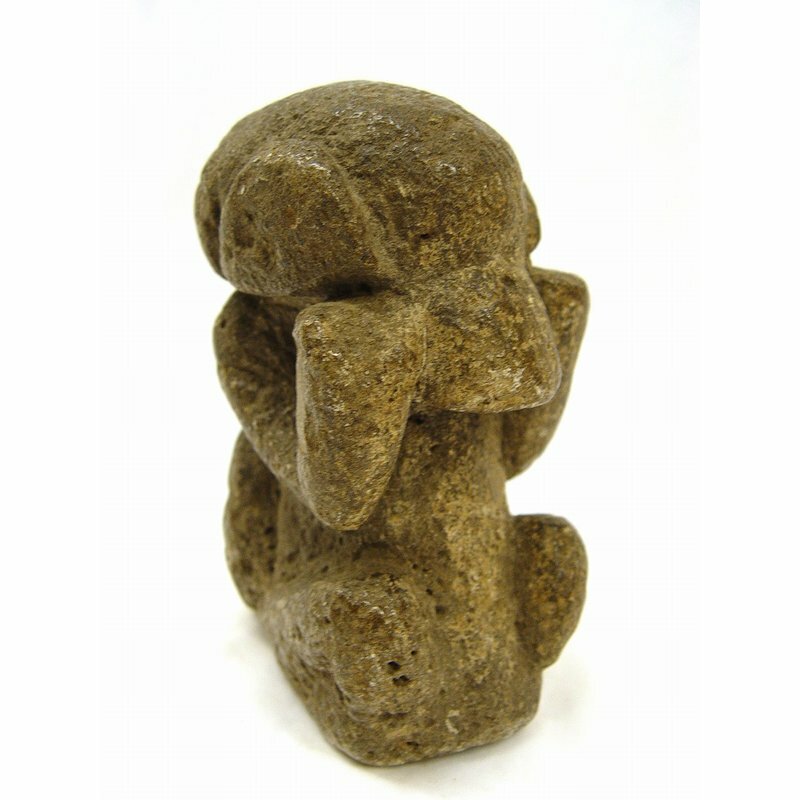 This example has relatively indistinct features, and appears to be resting its elbows on its knees.